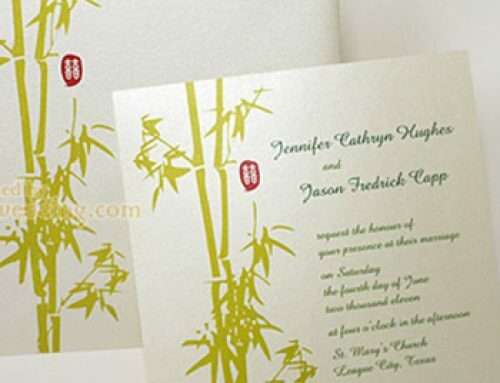 There is a virtually unlimited number of options for wedding invites you can find. 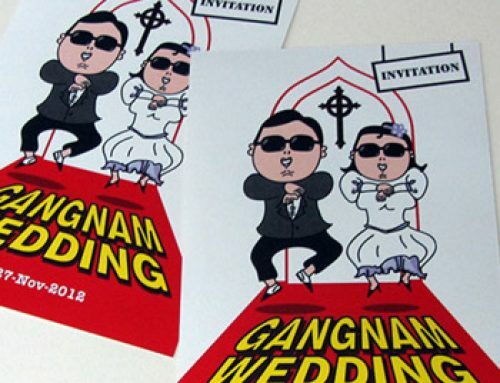 However, if you want to make a wedding invitation special, you should consider this design. 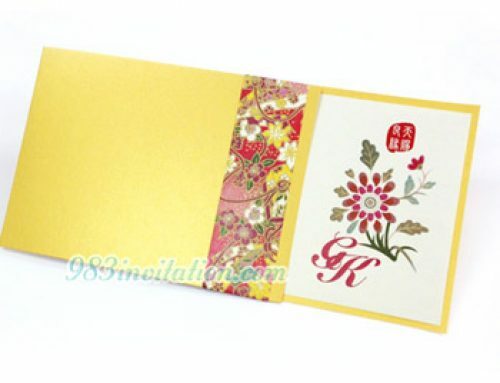 The main idea of the design is to make it different from a traditional single wedding card. Again, we make this a combination of modern and traditional Chinese designs. The treatment, color and graphic elements can be very traditional (Chinese style). But the main design is not. 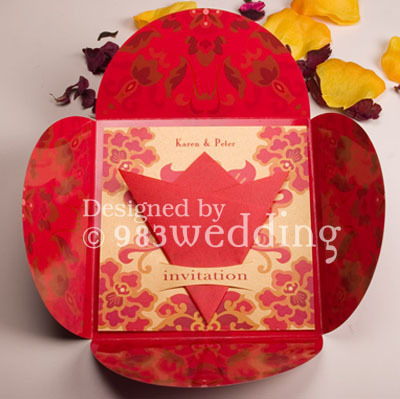 You will never see a traditional Chinese wedding invitation design like this. This will create a very unique and modern invitation design. The design idea comes from something we can see every day – a napkin. The design transforms the notion of a napkin into your wedding invitation. Your guests unfold it and share the happiness of your big day! The “napkin” is folded and put on to a holder. We do not print on a real napkin since we want the paper to look more elegant. 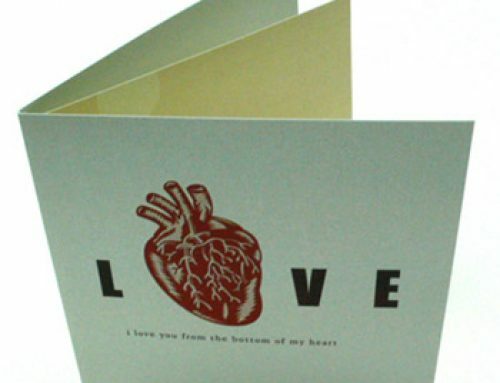 The paper stock used is a unique thin piece of red color paper. 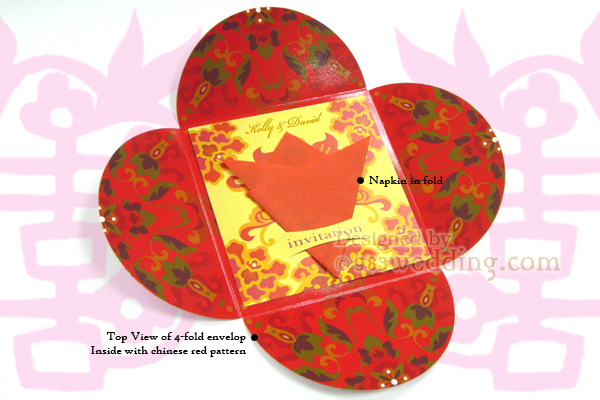 We adapt the idea of a red color napkin to make the design look Chinese. 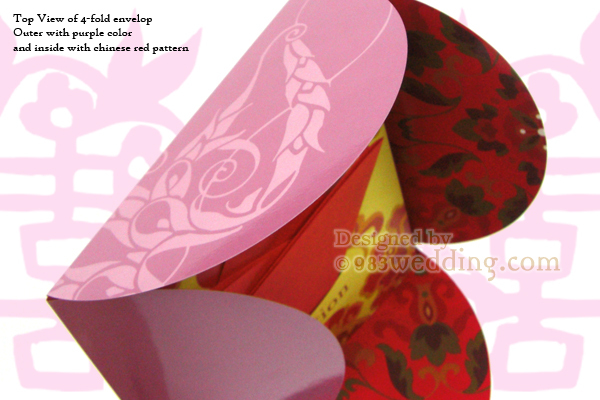 This holder is printed with some beautiful pattern in Chinese style. This holder is gold in color. The “napkin” is folded elegantly and put into the die-cut slit on the holder. 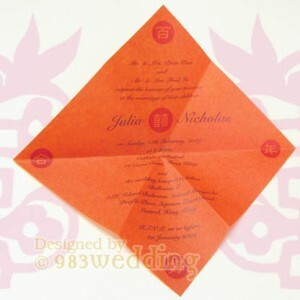 The main content of the invitation is printed on the napkin. 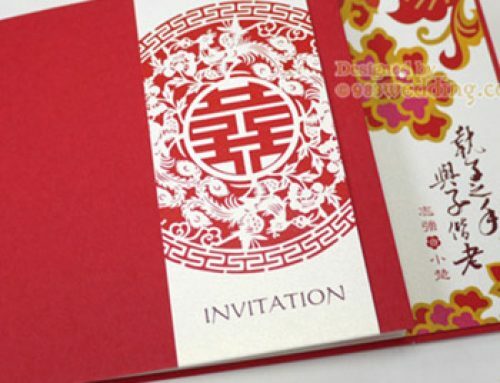 The color theme of the invitation is very Chinese. They are the colors used for celebrations. They are the gold and red colors. The color of the napkin is red while the holder card is gold in color. The color theme is eye-catching and cheerful. The envelope of this special and unique design must be mentioned here. It is a four folded envelope. The color of it is stunning. The outside of the envelope is in purple while the inside of it is red in color. Since you may have to write the names of your guests on the envelope, subtle but elegant floral patterns are printed on the envelope. However, the treatment is totally different for the inside of this envelope. We have printed floral patterns in very bold colors. The print on this side is very colorful. This contrast in colors of the inside and outside of the envelope will give your guests a sense of unexpected when they open the envelope. 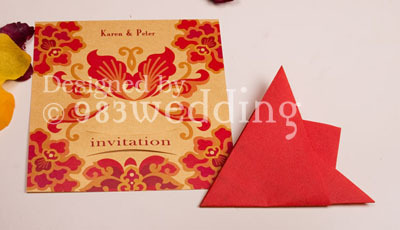 Description: Full colour printing on ONE side on the card and napkin design. 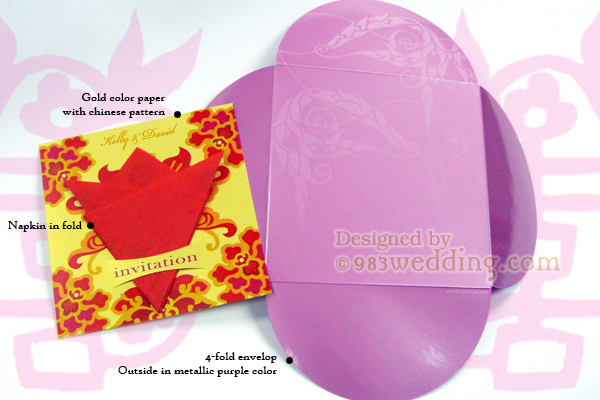 *RSVP & Place card in same design can also be ordered.